Moran & Sons' Lumber Company is a family owned business that was started by Bernard Moran in 1963. It is now run by the "Sons" — Tim and Greg. They have both worked in the lumber business for over 30 years. Moran Lumber operates from its facilities in Phoenix, Arizona. Tim Moran — Chief executive officer is in charge of sales, lumber purchasing, and all financial matters. Justin Lenehan — Production manager in charge of recycled pallet operation. David Jasso — Production manager in charge of new pallets, stakes, and nursery box operations. Jill Moran Lenehan — Office Manager. 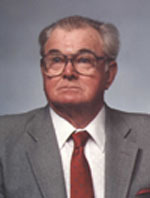 The founder of the company, Bernard Moran, began his business in 1963 in the backyard and garage of his home in Phoenix, Arizona. He originally operated the business as a partnership with his brothers, but after a few years, bought them out and continued on his own. His sons, Tim and Greg, started working with their dad when they were pre-teens. Bernard had a brilliant mechanical mind. He designed many of the production machinery including the tree box machine and a stake pointer machine that was later copied and manufactured by another company. In 1980, the operation moved to its present location. The boys grew up and went to college. After graduating with a degree in finance, Greg began working full time in the family business with his dad. Greg currently is in charge of production and manages the recycled pallet yard. Tim's degree was in accounting and he spent several years working in both public accounting and private industry while maintaining the books of the family business during evenings and weekends. During this time, Tim became a CPA. After several years, Tim returned to the family business on a full-time basis, and gradually assumed responsibility for the day-to-day operations. Upon his dad's death in 1994, Tim became the Chief Executive Officer. Tom Farrier joined the company in the early 90's. He is a general contractor by profession, and is an expert at pallet development and design. He assists our customers in inventory management services in addition to his duties as production manager. In 2004, two of Tim's daughters, Jill and Katie, joined the family business while completing their degrees.